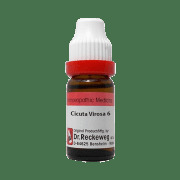 Dr. Reckeweg Cicuta V Dilution is an effective remedy which is primarily used for the treatment of disorders of the central nervous system. It contains anti-spasmodic properties which make Cicuta an excellent remedy for the treatment of convulsions, muscle spasms and involuntary jerking of muscle joints. It can be used to treat conditions associated with catalepsy and treats major symptoms associated with it. Skin disorders such as eczema and itchiness of the skin are also effectively cured using it. Take 3-5 drops of dilution with 1 teaspoon of water three times a day or as directed by the physician. 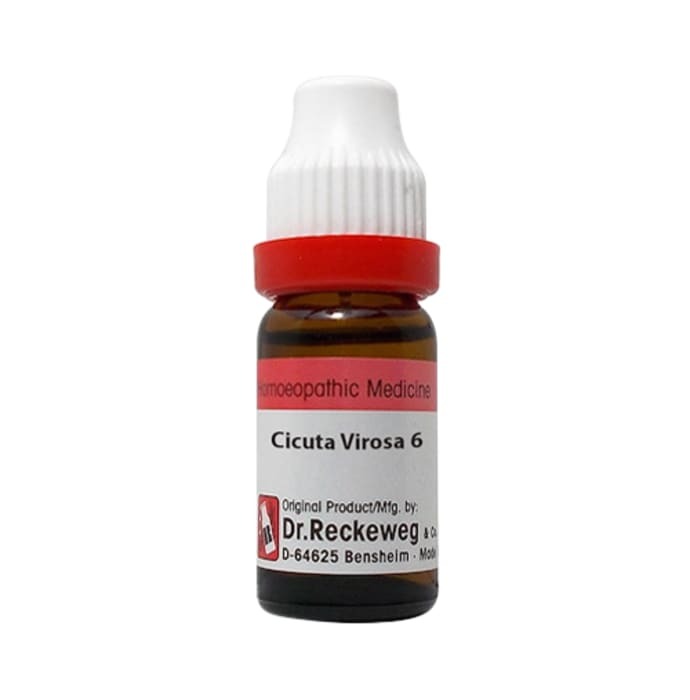 A licensed pharmacy from your nearest location will deliver Dr. Reckeweg Cicuta V Dilution 6 CH. Once the pharmacy accepts your order, the details of the pharmacy will be shared with you. Acceptance of your order is based on the validity of your prescription and the availability of this medicine.